This gear was returned in good working condition with one or more scratches or dents, typical of an instrument that&apos;s seen normal wear and tear. It&apos;s a great choice if you&apos;re looking for performance and value and can overlook cosmetic flaws. (Open Box) A stage and studio monster loaded with a Celestion Creamback. 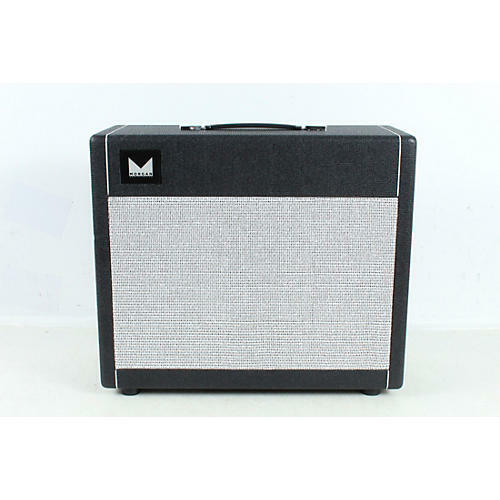 The Morgan SW50 50W 1x12" tube guitar combo produces a sweet singing sustain even on clean notes through its single G12H75 Celestion Creamback speaker. Intentionally designed to be the loudest and cleanest it could be with two 6L6s, it is still capable of producing a warm compressed natural overdrive. The SW50 is a stage and studio monster. Currently on tour with James Taylor, Tim McGraw, Kenny Chesney, Dierks Bentley, Jake Owen, Kip Moore, Chris Young and Frankie Ballard. If you listen to modern country music chances are you have heard the SW50. The SW50 utilizes a special level control. Its job is to control the amount of gain available in the power section of the amplifier. You will notice after about 3 o™clock on the level control you are adding overdrive to the power section. This allows you to use the level control at lower volumes without sacrificing your tone. The bass and treble controls interact with each other to give you a wide range of tones. The Bass Emphasis switch changes the center point of the mid frequencies allowing you to get even more bass out of the amp. The bright switch is designed to bring in enough top end for even the darkest guitar but without adding any ice picky highs. This amp was designed to be that familiar black face styled tone from the mid '60s but with added clarity and string to string definition that is unrivaled in any similar design.